Rarely available first floor 3 bedroom 2 bath condo at the centrally located gated community of Madison Park. Freshly painted, with a great open layout large family room, kitchen and dining nook. The kitchen features countertops, tile floors and appliances. Tile flooring throughout the living space and wood in each of the bedrooms, all three bedrooms have generous walk in closets. Both bathrooms have tile flooring and offer ample space, including linen cabinets. A large covered patio sits off the family room and a separate laundry room is located next to the kitchen. Entry closet and hall closet offer plenty of extra storage space. This unit also has a 1 car detached garage and 1 parking space, Brand new central air complete system and Brand new Water heater complete system ( See Attached supplements ) and copper connectors. New painted doors and New plumbing Faucets Etc. In addition to the open parking available. The desirable community of Madison Park includes pool, spa, sauna, fitness center and a private racquetball court, along with a community room for owners to enjoy. Friendly security staff and gated entrance are additional bonuses of Madison Park! 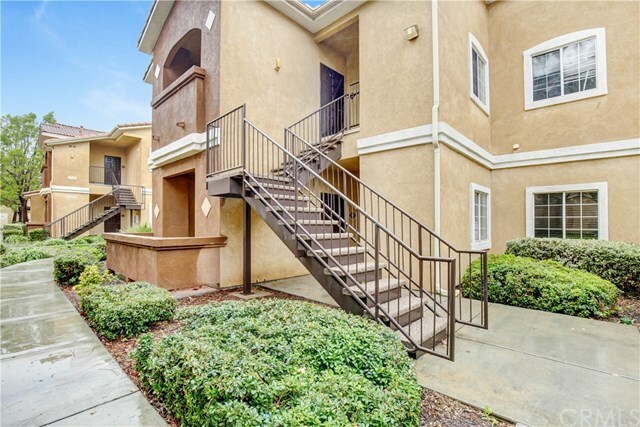 Centrally located within feet of shopping, restaurants, highly rated Murrieta schools, parks, and medical facilities. Easy freeway access for commuters to both 15 and 215 freeways. Come take a look before it's sold! Low HOA.